TAR Camp is an incredible opportunity to make new friends from across the state, learn about our state and country, and have fun. 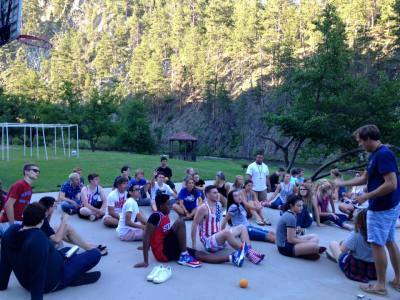 TAR Leadership Camp is held each year at Camp Rimrock, just 10 miles outside of Rapid City in the beautiful Black Hills. Young people aged 12 to seniors having just graduated from high school are eligible to attend camp. The week will feature a lot of fun and games as well as visits to Mt. Rushmore, Watiki Waterpark, and on alternate years, to the Black Hills Playhouse. TAR Camp gives campers an opportunity to bond in a very special way. Each year, we see the group come in as strangers and leave as great lifelong friends. To any and all considering attending our summer leadership camp, this is definitely something that you do not want to miss. 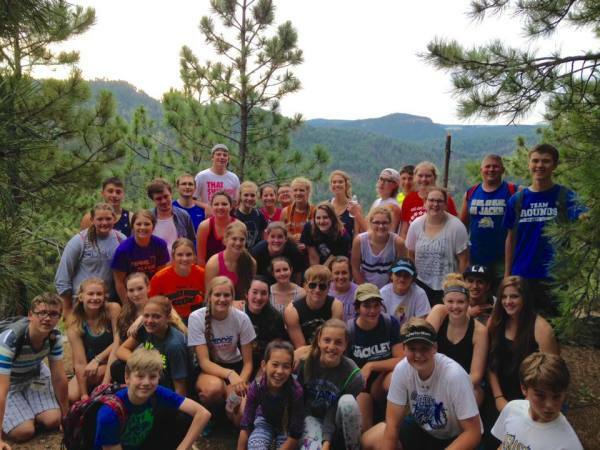 This camp runs for a week every July at Camp Rimrock right outside of Rapid City, South Dakota. 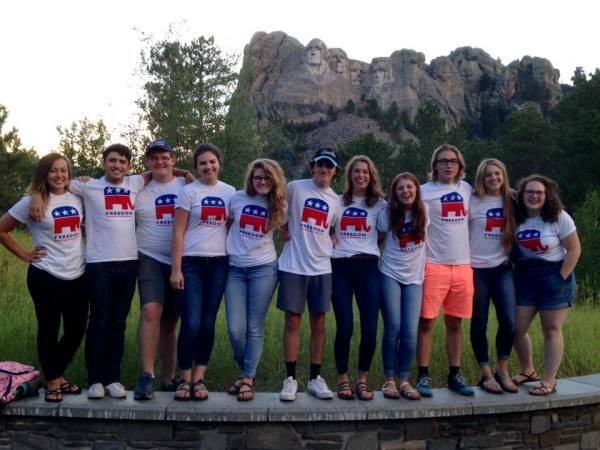 While the camp is a wonderful opportunity to expand your knowledge on politics and come to meet people your age who possess the same ideals as yourself, it is also a weeklong opportunity for you to simply enjoy being a high schooler with some of the coolest adults in our state. You will receive the opportunity to meet politicians like Governor Dennis Daugaard, Representative Kristi Noem, Senator John Thune, or Senator Mike Rounds, but the fun part lies in the people who will make your experience 100x better. At this camp you will experience the beauty of the Black Hills, visit the lighting ceremony at Mount Rushmore, slide down the adventurous slides of Watiki, show off your mad singing skills on Karaoke Night, and finally experience a week that has come to find a home in many other people like you throughout the past fifty years. Not interested in politics? THAT'S OKAY. The students that attend this camp are usually looking to just have a good time, and the politics of the camp end up being a side experience that you learn to love and appreciate. 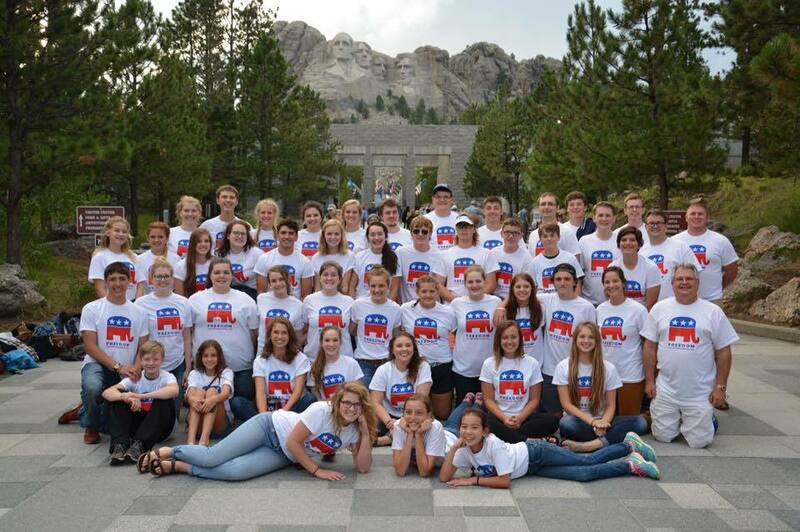 Honestly, this camp is acclaimed over and over again for its ability to allow students from all across South Dakota to come together and find a bond of common craziness that is only describable by those who have witnessed what South Dakota Teenage Republicans is all about. In no time you will find yourself engaged in the fun that this camp brings, and by the end of the week you will have made amazing memories that make campers want to return year after year. Please, if you find yourself interested in the least, check us out, you won't regret it. Students have tremendous fun with activities including trips to Mt. 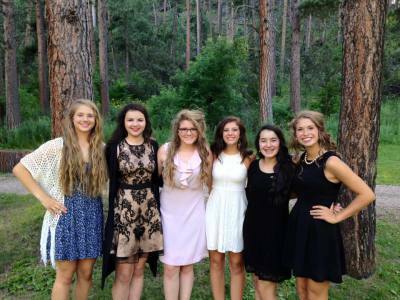 Rushmore, the Black Hills Playhouse, and Watiki! 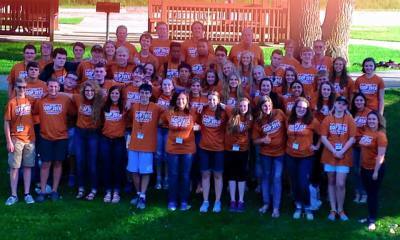 Statewide elected officials like Congresswoman Kristi Noem participate in TAR Camp each year. 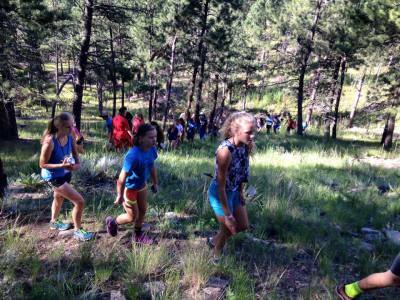 TAR Camp takes place in the beautiful Black Hills, and teens have time to hike, swim, and enjoy the outdoors. As dozen of teens gather from across the state, teens get to know each other through several icebreakers. 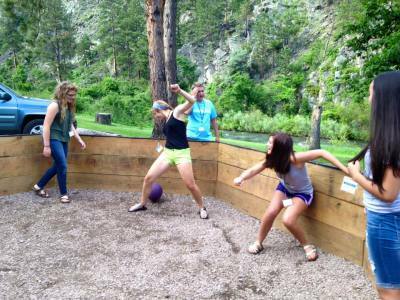 The weeklong camp features a variety of games, speakers, and activities, like Ga-Ga Ball (or Caputa Ball, as the campers call it). Campers enjoy pulling several different shenanigans, including fake beards, while making their own political commercials! The end of the week features the formal TARS banquet.